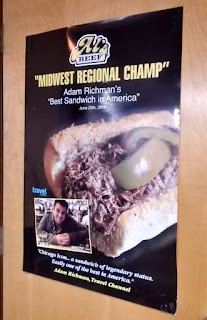 Al's Italian Beef has several locations in Illinois. 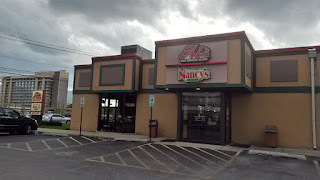 This blog post covers the spot on W Higgins Road in Park Ridge, Illinois. I first found out about Al's from the original Chicago episode of Man v. Food with Adam Richman. 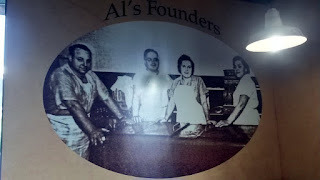 As that story goes, Al's was founded in 1938 and features their signature Italian beef sandwich. 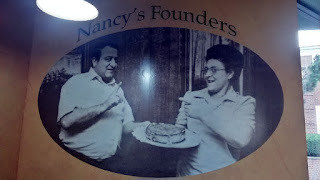 The first location was on W Taylor in Chicago's Little Italy neighborhood. 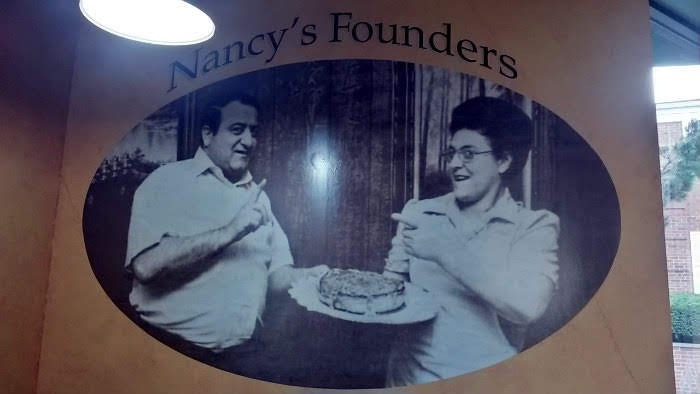 The building in Park Ridge shares space with Nancy's Pizzeria, a separate business dating back to 1971 known for a "stuffed crust" deep-dish pizza. 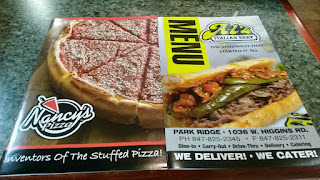 After having my deep-dish pizza fix in Chicago, I wanted to get my Italian beef sandwich and Chicago dog before I left the area. 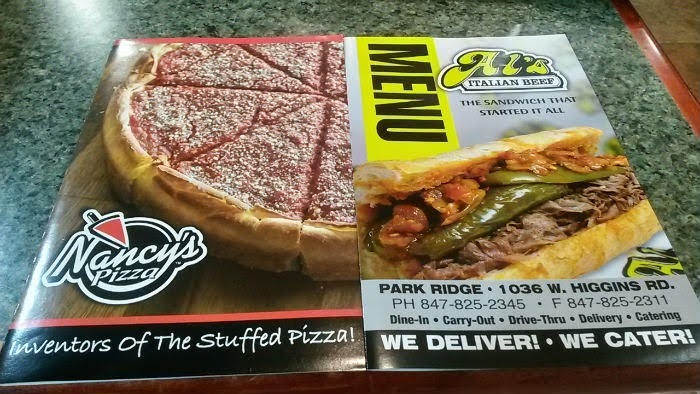 The Italian beef sandwich at Al's comes in three sizes: Little (4"), Regular (6"), or Big (8"). 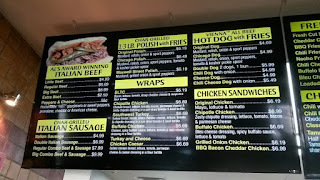 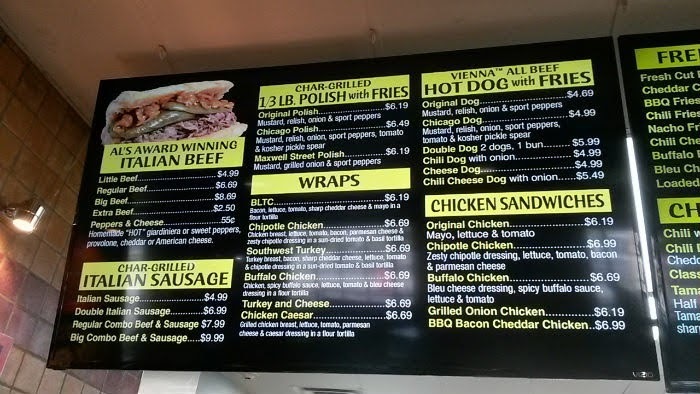 I opted for the Little Italian beef sandwich ($4.99), adding hot peppers (55 cents more) and requesting that the sandwich be dipped in their beef broth. I think you have to get the sandwich dipped. 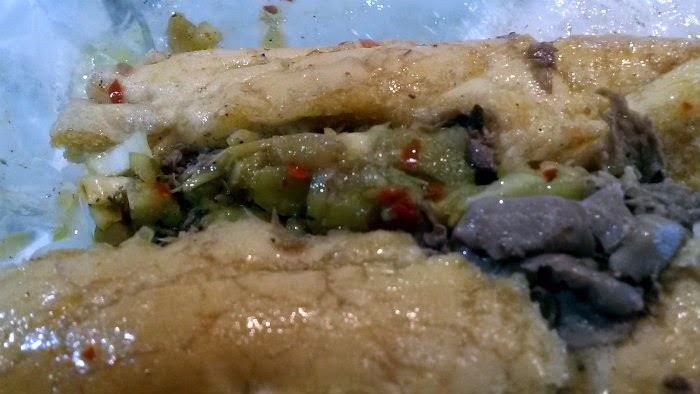 All the juices soak into the meat and the bread, meaning more rich beef broth flavor. 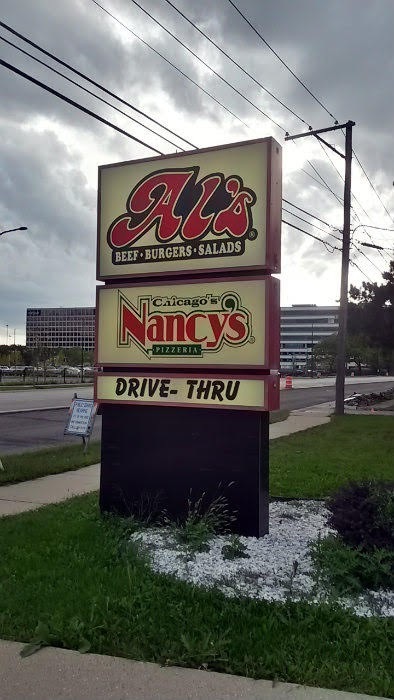 Lots of Italian spices in there as well. The meat is an acceptable amount, sliced very thin, and is very juicy and tender. 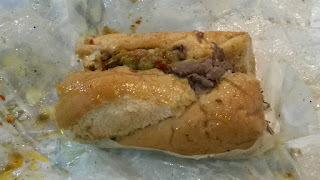 Al's giardiniera is mainly celery with red pepper flakes and other ingredients - simple but delicious. I then added a Chicago dog with my order ($2.79). 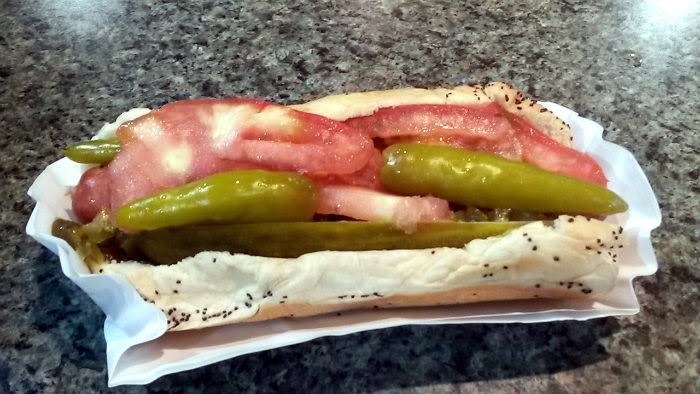 It looks small to me, but it's pure Chicago dog all the way, from sport peppers to the mustard. 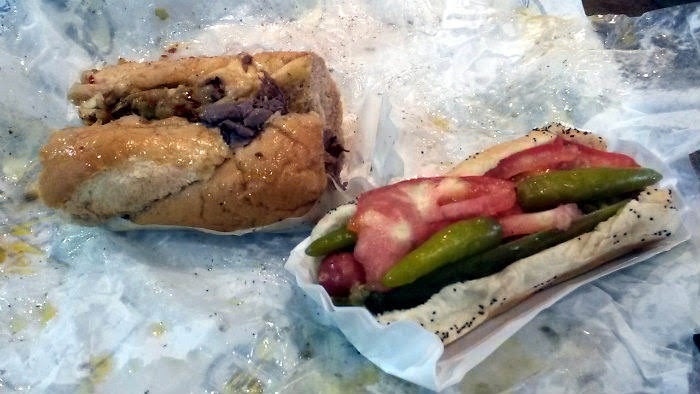 The thing about Chicago and the surrounding area: lots of spots for pizza, Italian beef, and Chicago dogs. 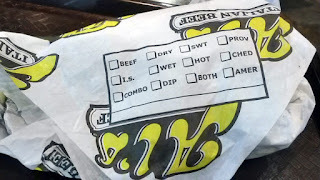 Simply impossible to make a dent, especially on just a two-day trip. On my next Chicago trip (whenever that is), I'll totally fit in more spots for Italian beef.